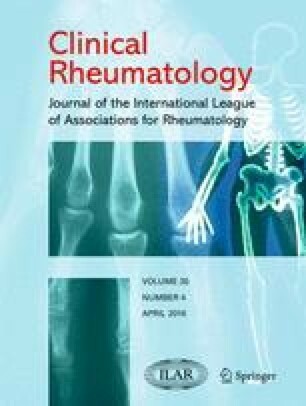 Systemic lupus erythematosus (SLE) is an autoimmune disease characterised by the production of autoantibodies and the involvement of multiple organ systems. Systemic sclerosis (SSc) is another autoimmune disease that causes fibrosis. We will aim to analyse the role of killer cell immunoglobulin-like receptor (KIR) genotypes and their existence with the respective HLA ligands in patients with SLE and SSc. Forty-five SLE, 25 SSc and 40 healthy controls were included. We examined the presence/absence of KIR2DL1, 2DL2, 2DL3, 2DL4, 2DL5A, 2DL5B, 2DS1, 2DS1, 2DS2, 2DS3, 2DS4, 2DS5, 3DL1, 3DL2, 3DL3, 3DS1, 2DP1, 3DP1 and their known HLA ligands. In the SLE group, the KIR2DL5, KIR2DL5B and KIR2DS3 genes were significantly more frequent, and KIR2DL3 gene was significantly less than in controls (p values <0.05). In SSc patients, the KIR2DS3 gene was more frequent than in controls (p = 0.032). The KIR2DL3 gene was detected more frequently in controls while KIR2DS3 gene was more frequent in the patient group when SLE and SSc patients were combined (p values < 0.05). The KIR2DS2/HLA-C and KIR2DS2/HLA-C combinations were significantly more in both SLE and SSc groups than in controls. The KIR2DL2 and KIR2DL5B genes were protective from neurologic involvement in SLE patients (p values <0.05). The variations of some KIR genes such as KIR2DL5, KIR2DL5B, KIR2DS3 and KIR2DL3 may have a role in the pathogenesis of SLE and SSc. Also, the presence of KIR2DL2 and KIR2DL5B may cause major organ involvement, like neurologic involvement, in SLE. This study was supported by grants from The Scientific And Technological Research Council Of Turkey (TUBITAK) 3501—Career Development Program (Project number: 111S153). The authors acknowledge Dr. Canpolat Polat for his translational and linguistic assistance.